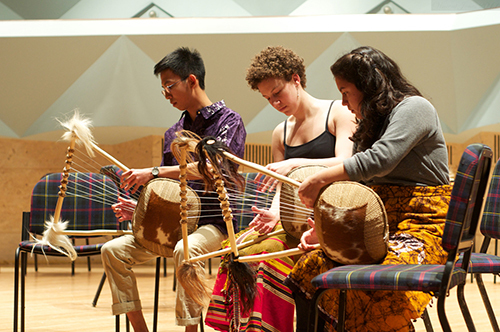 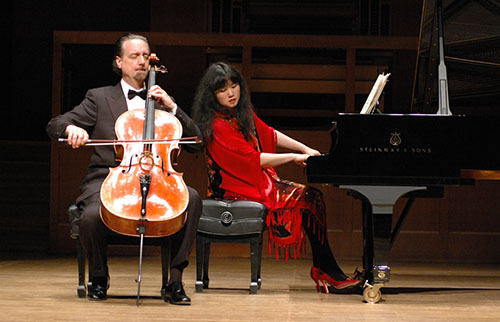 The arts are a vibrant part of the Middlebury College community. 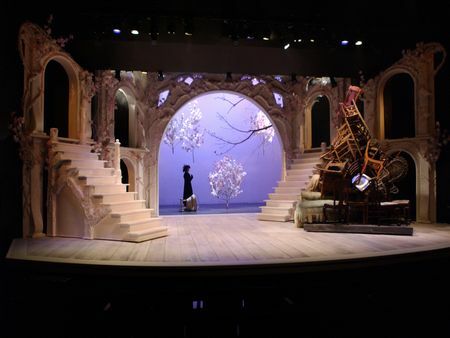 Whether your interests lie in music, theatre, dance, museum exhibitions, films or beyond, you can count on the arts to make your experience at Middlebury a richer one. 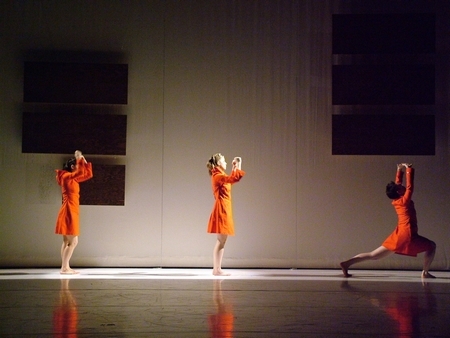 The Kevin P. Mahaney '84 Center for the Arts serves as a hub of arts activity on campus. 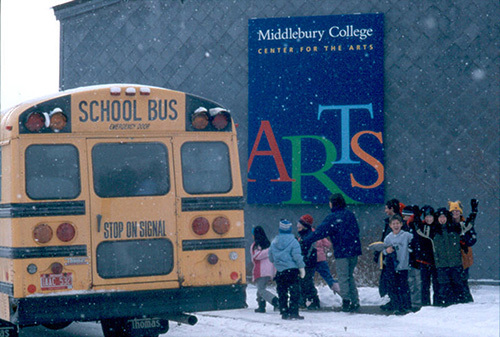 Opened in 1992 as the Middlebury College Center for the Arts, this visual and performing arts facility serves the College and the surrounding communities. 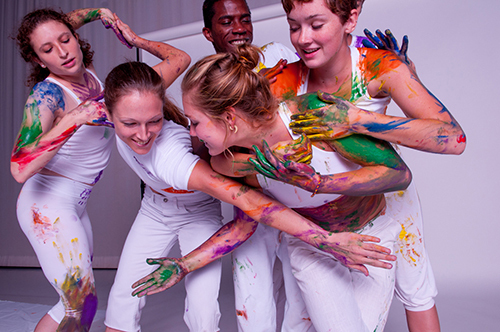 Its primary purpose is to provide an environment for the creation of art and to invite audiences to experience the work of local, national, and international artists. 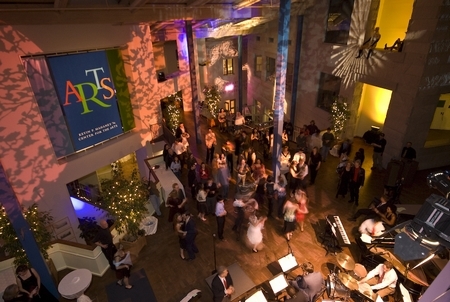 The building was renamed in 2007 helping to usher in its 15th anniversary season. 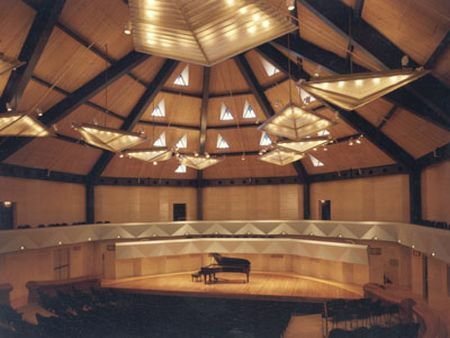 Known on campus as the ''MCA,'' the Mahaney Center for the Arts is home to the Middlebury College Museum of Art, the black-box style Seeler Studio Theatre, the dance theatre, and a stunning 370-seat recital hall. 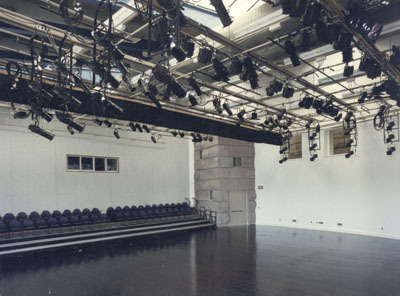 The facility also houses the departments of music, art history, theatre, and dance. 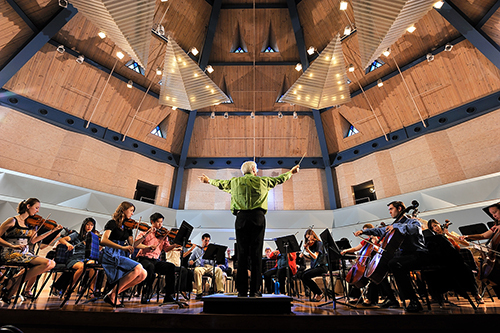 The academic year is filled with a variety of exciting performances and exhibitions offering our college community a unique opportunity to participate in the arts. 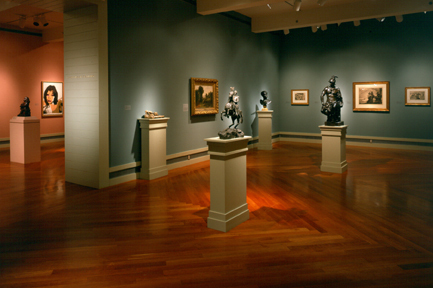 The arts extend beyond the walls of the MCA as well, with film and media culture programs in Dana Auditorium and the Axinn Center, theatre productions in Wright Theatre and the Hepburn Zoo, studio art shows in Johnson, independent student exhibitions in the Center Gallery in McCullough, special events in Mead Chapel and more.